Solar power is generated by the conversion of sunlight into electricity. This is done in two ways, either directly with the help of photovoltaic (PV) cells, or indirectly utilizing concentrated solar power (CSP). Concentrated solar power systems make use of lenses or mirrors and other tracking methods to focus a large portion of sunlight into a small concentrated beam. Photovoltaic cells convert light into electric power using the photoelectric effect. As solar power is derived from sunlight, it is free of cost, provided a solar power system is installed. Very limited people install solar power systems at residences these days and those that install are from affluent segment of the society as the cost of a solar power system is very high. It can vary from $ 35,000 to $250,000. Nevertheless, there are affordable solar power systems that one has to construct or assemble on his own from the kits available in the local markets for $200 to $350. With a lot of technological developments in this area, a number of homeowners are now in a position to install solar power systems at their homes at affordable costs. In a few places, the government observes the usage of electric power consumption in homes from time to time. Many programs were introduced by these governments to encourage homeowners to use solar power, as for instance, if solar power consumption has reached a certain level rebates are given. While the costly systems can store solar energy efficiently in the batteries, the less expensive models are not so effective. Nevertheless, those interested in installing solar power systems at their homes at reasonable prices can search on the internet and locate homes that make use of solar power systems efficiently. 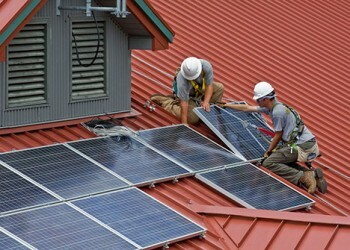 A number of homes in Los Angeles, California derive maximum benefits from solar power nowadays. There is always sunshine in Los Angeles with hardly any rains. Although earlier solar panels were not so appealing to look at, however with current technology solar panels are of elegant designs and can combine perfectly with the present design of the home. Many homes in California go in for solar power in view of regular power shut downs. A few experts believe that California expects to attain a 10% overall consumption of solar power by 2020. A few prominent personalities in Los Angeles, such as Edward Norton, Julia Roberts, Larry Hagman and Jackson Browne also have solar power panels installed at their homes. 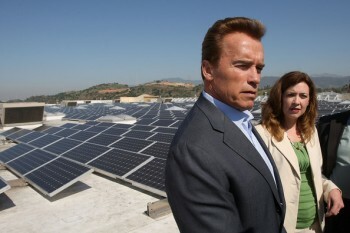 These famous persons can certainly afford very costly solar power systems. However, those looking for cheaper systems can buy solar kits and get them installed at their residences. It is a first-rate project, if someone wants to assemble the parts and build solar panels on their own, though the services of an experienced electrician will still be needed when dealing with electrical issues. A lot of emphasis is being given to conserve ecological systems and thus ‘going green’ concept has emerged. Global warming has already affected the ecology and the disastrous effects of it are felt by people from all over the world. The best way to pre serve the environment is to utilize solar power thereby; the reliance on traditional electricity can be reduced. Traditional electricity is generated by burning fossil- fuel to power turbines. The emissions from the burnt fuels contribute to global warming. When one uses solar power, he can reduce consumption of the conventional electricity and in the process can also save considerable amount of money on electricity bills as solar power is very much cheaper and is a renewable form of energy. Solar power systems are for every one irrespective of their financial and social standing. Those who cannot afford ready-made power systems can assemble solar power panels by purchasing the kits and following detailed instructions provided by well-known manufacturers of these systems.